Well, as you’ve probably gathered by the lack of activity I’ve been away for a couple of weeks and very nice it was too. Being able to watch wildlife go about it’s business and not be shot at, trapped or poisoned is a wonderful thing and also something which will bring in the daily bread. Ecotourism is big business and the Isle of Mull makes a significant proportion of it’s income on the back of people like me who visit purely to see it’s fantastic wildlife. However things have been moving on rapidly while I’ve been away. Of course the main story recently is the discovery of the fox cubs being held in a barn on land owned by the Middleton Hunt, in fact the hunt kennels were virtually next door. Now the Countryside Alliance and the owners of the land can claim to the contrary til they’re blue in the face but the simple fact is anyone in possession of more than half a brain cell can see through their ridiculous lies and knows what awful fate awaited those animals. They are of course “ . . . confident that there is no connection between the foxes and the Middleton Hunt”. Of course the man detained by the police who was seen entering the building is a registered employee of the hunt and who’s address is, yes, you’ve guessed it, the hunt kennels only 200 metres away which is also the registered business address of the hunt. 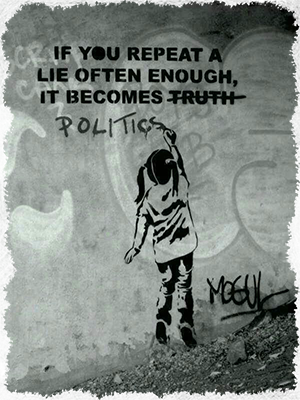 It’s not rocket science yet they still expect us to believe them. Oh dear . . . While we’re on the subject of the CA they recently sent out this email to their members, perhaps in an effort to detract from their recent bad publicity. Not very pretty and definitely not a sab. (1) In January this year Mike Lane, Master and Huntsman of the Tedworth Hunt in Dorset, was hospitalised by anti-hunt thugs who beat him with metal bars and chains. 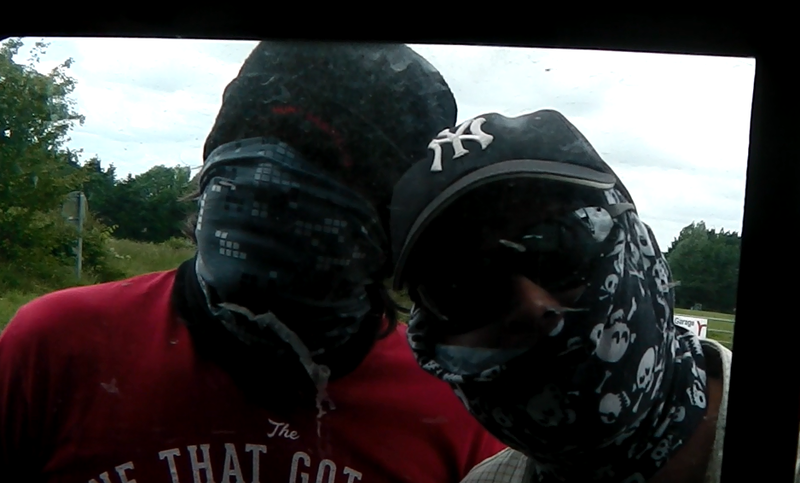 Despite massive publicity and a national outcry from far beyond the hunting community, nobody has been charged with this violent assault because his attackers were wearing face coverings. 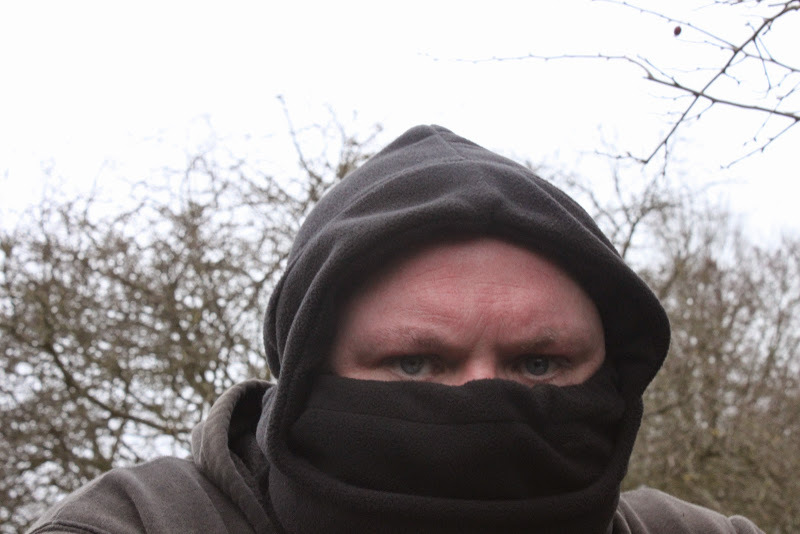 (2) As any hunt which has dealings with saboteurs will report, these cowards tend to hide behind balaclavas and scarves and dress in a mock paramilitary uniform of black combat gear because they know this makes them all but impossible to identify and therefore to bring to justice. (3) Following the attack on Mike we asked you to lobby your Police and Crime Commissioners and Chief Constables, asking them to ensure officers are able to order the removal of face coverings when sabs congregate. Whilst the lobby received a very positive response from the police, and tens of thousands of you took part, the law remains hard to enforce and Mike Lane has had no justice. (4) A police officer can arrest someone if they have reasonable grounds to suspect they are involved in a crime, but they cannot order the removal of a mask or balaclava without the express permission of a senior officer. (5) This is clearly impractical and does not make allowances for the pressures of on-the-ground policing and the need for swift and decisive action. We will be pressing the Government to amend the legislation in the forthcoming Policing and Criminal Justice Bill. We believe officers faced with masked activists need the authority to demand the immediate removal of face coverings. Those intent on harassment and intimidation need to be identifiable and not outside the law. (6) The current law is unwieldy and is allowing vicious attackers, like those who assaulted Mike, to get away scot-free. Time for a bit of analysis. (1) This incident was widely published and made the national media and apart from the the outcry whipped up by the CA amongst their own supporters and those with a low IQ who read the Daily Mail most people saw it for what it really was. No metal bars and chains were used, the item they’re referring to was a lightweight piece of wood and rope which sabs use like whip to minic the sound of the Huntsmans whip, which is used to stop hounds. 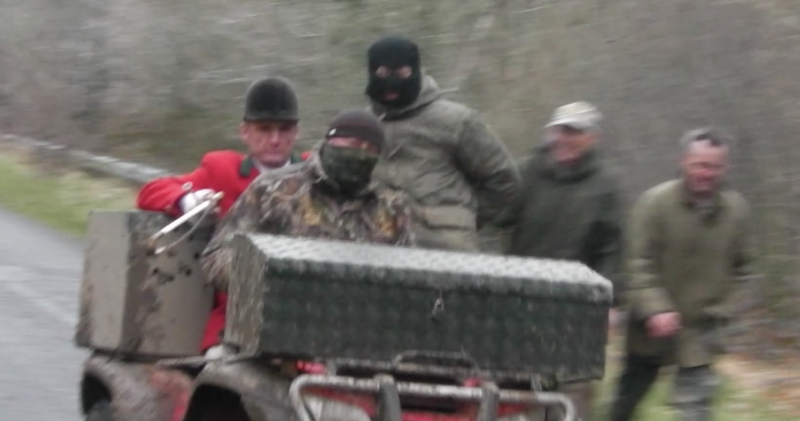 It also fails to mention that on the video two hunt supporters are violently laying into a small lone sab. 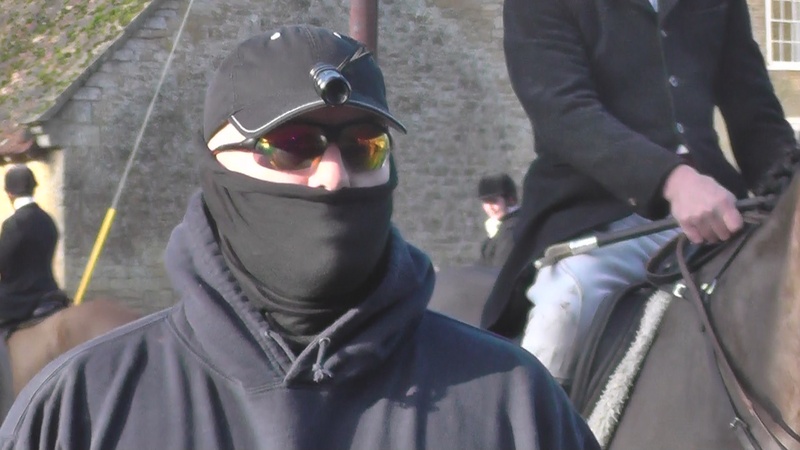 Clear photographs were published of all involved including the sabs without their face covering so as a point making exercise it kinda falls flat on its face. We’re also unclear on the full details of the incident. In my mind it looks like some hunt staff and support got violent with some sabs who rightly defended themselves and disengaged the moment they were safely able to. If you’re going to start getting violent don’t come crying to mummy when you end up coming off second best. Bigoted, racist, homophobic and sexist. All the traits you need to be one of these guys. (2) Cowards? Takes a real tough guy to chase an animal on a horse with loads of your mates and a pack of dogs. That’s what I’d call a coward. We dress like we do because we need tough clothes that can take punishment and abuse, just like the armed forces and if it’s good enough for them then it’s good enough for me. It’s purely about having the right kit for the job at hand. (3) I’m sure you had a very positive response from the police, they’re probably all in the same lodge or ride with the hunt. Maybe there was a nice donation somewhere? (4) It’s called a section 60AA and can only be ordered by an Inspector or above and for justifiable reasons. Those reasons do not include so the CA can take your photo, find out who you are and then target you at your home or place of work. It’s well known the CA have a large database of all those who oppose them, I wonder what they would need that for? (5) Do you think these demands would also apply to the many hunt heavies, terrier men and supporters and riders who regularly mask up for the purpose of violence and intimidation against non-violent protest and direct action? The pictures in this blog show just a tiny number of examples. What have you to say about the Barney old boy? (6) There are literally hundreds (and thousands more unreported) of well documented incidents of violence occurring at various hunts all over the country. 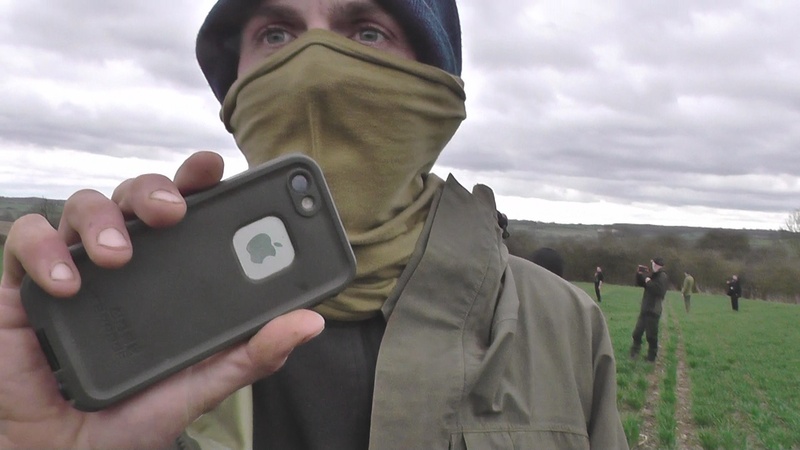 Even though everyone has access to a smart phone or camcorder you’ll be hard pressed to find much in the way of evidence which attributes violence coming from the activists in the field. The violence is nearly always forthcoming from the hunt side and the CA’s obsession with the face covering issue is nothing more than subterfuge and misdirection in an attempt to paint the good guys in this equation as the bad. The vicious attackers wear Red or tweed and love flat caps.